Especially among the young, Malaysia’s 14th general election is increasingly being seen as a choice between the lesser of two evils. Lunar New Year has come and gone. Malaysia’s 14th general election, or GE14, could take place by the end of this month. In most normal countries, you’d look to the newspapers and television to get a sense of public sentiment. That won’t help you much in Malaysia. With the government clamping down on all forms of expression – sometimes in the name of fighting “fake news”– trying to get a sense of how Malaysians feel isn’t easy. Read also: Racial Politics, A Malaysian Disease? Even online media has grown reticent in the face of increasing legal pressure. In the absence of polls and a neutral, objective media, political observers must often look for clues or signs in the strangest of places. 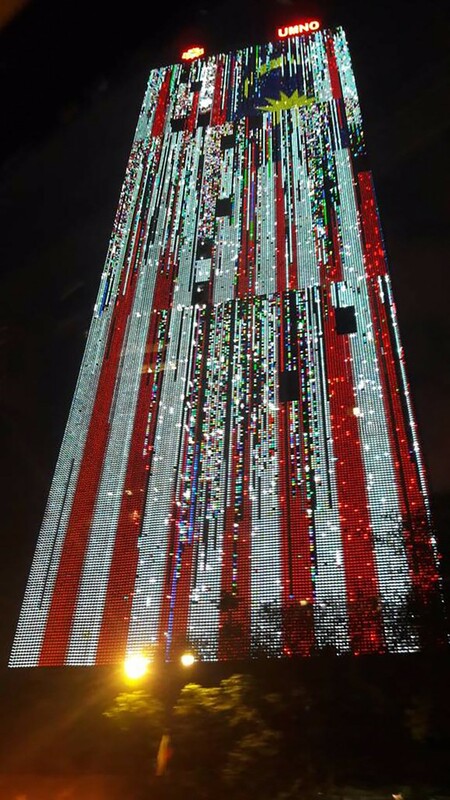 Take the hideously distorted electronic representation of the Malaysian flag currently adorning the 40-storey United Malays National Organisation (Umno) building in Kuala Lumpur. Despite an obvious technical glitch that has resulted in the “Jalur Gemilang” looking more like a toddler’s colouring book, the party leadership apparently can’t be bothered to either rectify or reset the LED display. This suggests to me that Umno leaders are convinced that the Malaysian public are totally apathetic and that the Barisan Nasional (BN) coalition it leads is predestined to win. When the ruling party’s headquarters is beaming out such a message, it is no surprise that the same sloppiness and going-through-the-motions attitude seems to permeate the nation. Of course, Prime Minister Najib Razak has been busy promoting his administration as best he can. Interestingly, at a time when domestic food prices have experienced a staggering series of increases – witness retail tycoon, Dr Ameer Mydin’s recent interview on BFM Radio where he claimed that everyday staples that have increased (Indian mackerel has gone up by 19.5 per cent, Cameron cabbage by 29 per cent and Maggi chilli sauce by 38.8 per cent) – the prime minister chose to give a social media broadcast on the national budget where he advised young Malaysians on how to spend their money. In the same session where he had to ask the moderator how much a meal at a cheap 24-hour restaurant would cost, Najib boasted that he eats quinoa instead of rice. A 250-gram bag of quinoa costs about 15 ringgit (US$4) – roughly 23 times more expensive than the equivalent in rice. Read also: How Many More Domestic Workers Must Die Before We Change? Whilst the prime minister is attempting to connect with millennials, the quinoa reference has backfired in the face of mounting concerns about the high cost of living. On another front, the sugar-to-hotels Chinese-Malaysian tycoon Robert Kuok has been hit by all manner of ridiculous insults – including claims that he is funding the opposition – culminating in a bizarre challenge that the near-mythic 94-year-old should contest in Malaysian elections. 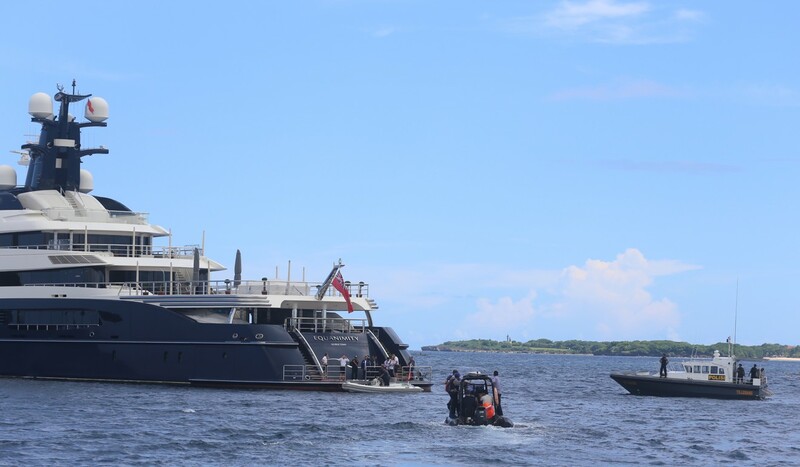 Separately, a yacht allegedly linked to 1Malaysia Development Berhad (1MDB) scandal was recently seized by Indonesian authorities. The bust made headlines everywhere: except Malaysia’s mainstream press. We truly live in an age of absurdity. 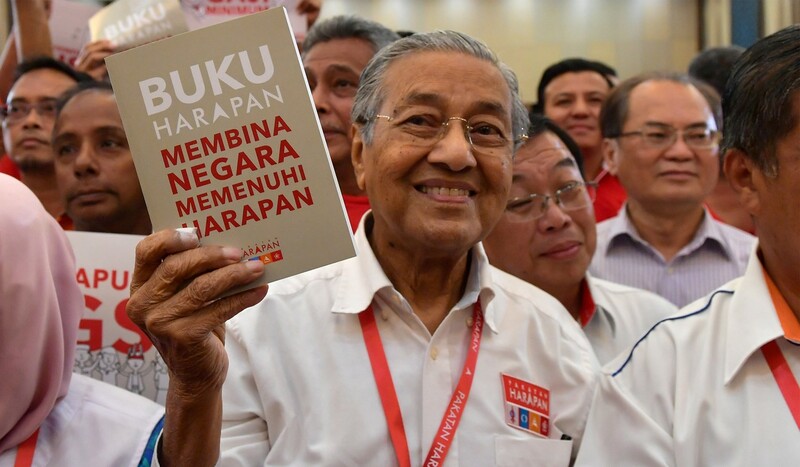 On one hand, we have a nonagenarian former prime minister, Dr Mahathir Mohamad, who was responsible for jailing scores of dissidents in the 1980s but who now leads the opposition Pakatan Harapan (PH). On the other, you have a prime minister who is a product of the system that Mahathir built for more than two decades. It’s no wonder then that the political atmosphere is permeated by disillusionment with all sides. A small sector of allegedly disappointed youths have resorted to the so-called #UndiRosak movement, rejecting what they view to be “a choice between lesser evils” and campaigning for voters to cast spoiled votes instead. They feel let down by a system that has produced what I’ve called an optimism deficit. Too many unfulfilled promises have dampened Malaysians’ hopes. It doesn’t help that there is no disruptive political figure on either side of the divide. No Emmanuel Macron. Not even a Rodrigo Duterte. It seems like the choice facing Malaysians for GE14 is between incrementalism or a throwback to the authoritarian milieu of the past. It’s a narrative that’s likely to turn-off voters and suppress numbers at a polling booth – something which all analysts feel would benefit the incumbents. Despite the BN going big on promises of economic continuity, things on the ground aren’t as rosy as they make it sound. While Malaysians are regularly bombarded with news on top-line macro figures and infrastructure projects in the pipeline – little real wealth seems to have trickled to the ground. This was illuminated by a recent Merdeka Centre poll where respondents indicated that they neither feel that economic conditions have improved or that the country is headed in the right direction. Worse still, Najib’s promises of political reform have stalled. Crackdowns on political dissent remain rife – consider the plight of the opposition politician, Rafizi Ramli currently facing a jail sentence for being a whistle-blower. Moreover, Malaysians realise that the BN will not be instituting political reforms after the next elections. Indeed, the prime minister’s embrace of the hardline Islamist PAS party (which has refused to join PH) will mean more socially conservative regulations in the years ahead as the ulama (religious scholars) gain in strength. There’s a real, looming threat of economic stagnation and socio-political polarisation becoming Malaysia’s default settings. In the past, social mobility and prosperity took the sting out of alleged malpractices by the elite. Yet today, with an electorate left behind economically and fed up with the same old political faces, there is no sign that the nation will become any less divided. To put things simply: it’s a case of now or never. An overnight transition with lofty promises for reform; or the status quo. Meanwhile, the PH’s machinery is in full swing, with Mahathir hitting the campaign trail hard despite recent health concerns. Conventional wisdom suggests that a divided opposition inevitably leads to a BN landslide. Nevertheless, as this tukang cerita has learned in this age of Brexit and Trump, anything is possible. Do Malaysians choose aspiration – however naive – for the better? Or go with business as usual? In the past, Malaysians have tended to stick with the tried and tested. In this case – when we know both the players, the “magic” of elections means that we might be heading into a great, big unknown. This article is published in collaboration with Ceritalah ASEAN. It is also published on the South China Morning Post. Next articleDid Trump Just Launch A Trade War?